Part 5: 1977; "Frankie Teardrop, I feel love"
In this part we find ourselves in 1977 and synths have taken it’s place within the rockscene. We take up our story in a year where science fiction had more then a usual interest with the public and media. Note that this is the year Star Wars and the first Star Trek movie hit the cinema, the first personal computer with color graphics is demonstrated (the Apple II) and Datapoint creates Arcnet (the first commercial digital network, the basis for the internet). In this setting the time seemed right for a bunch of albums that would put the pop back into synths. 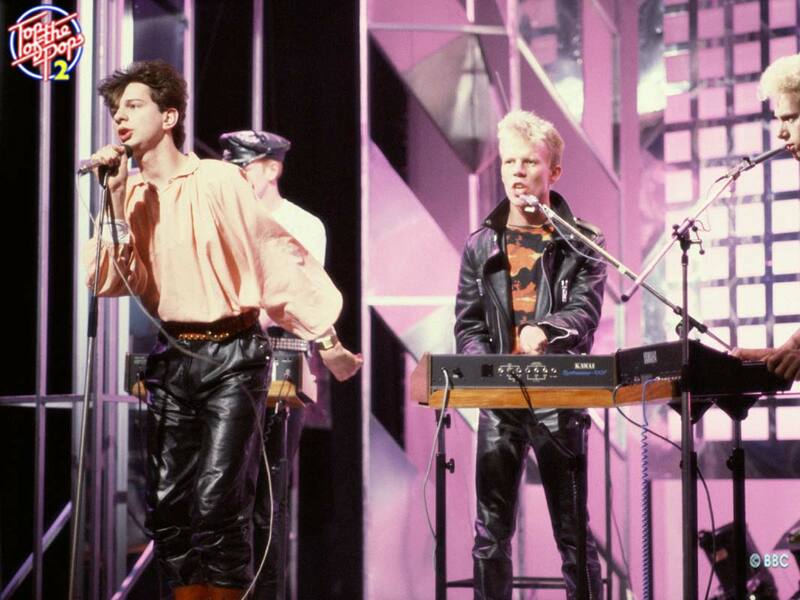 Without cutting other records short we set five albums in the limelight that would form the overture for the groups and artists that would take the synthesizer as their main instrument at the start of the eighties and would dominate the charts. In fact they may have lain the basis for the whole electric music-genre (read 'house') that we still hear among us today. You could say it was a race between the French and the Germans who would have the first fully-synthesizer based hit record. Kraftwerk did it’s best with Trans-Europe Express but Jean Michel Jarre beat them to it with his album ‘Oxygene’ that was already a hit in France in 1976 and in 1977 had it’s international release. As we already know Jarre was a former student of Pierre Schaeffer (read part 1) and already had dabbled in a number of synth projects. His inspiration for ‘Oxygène’ came from a painting by the artist Michel Granger that was given to him by his future wife Charlotte Rampling. The painting showed the Earth peeling to reveal a skull and Jarre obtained the artist's permission to use the image for this album. 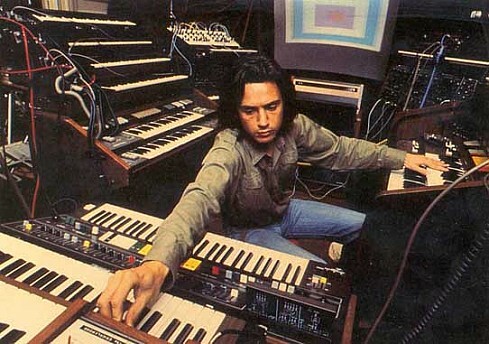 Jarre composed ‘Oxygène ‘over a period of eight months using a number of analogue synthesizers and an eight-track recorder set up in the kitchen of his apartment. However, he found it difficult to get the record released, not least because it had: "No singers, no proper titles, just 'I', 'II', 'III', 'IV', 'V' and 'VI'”. The small Dreyfus label finally took the change. Singles ‘Oxygen 2’ and ‘Oxygen 4’ became world wide hits in 1977 and the album sold over 15 million copies. 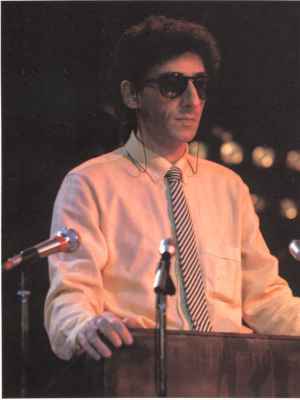 Besides a commercial success it showed that an album fully played by synthesizers could appeal to a wide audience. On to Germany because also there some heirs of electronic music history were busy creating the breakthrough. Kraftwerk came out of the Kodiak Free Arts Lab (see previous chapter) and already had a cult hit with ‘Autobahn’. 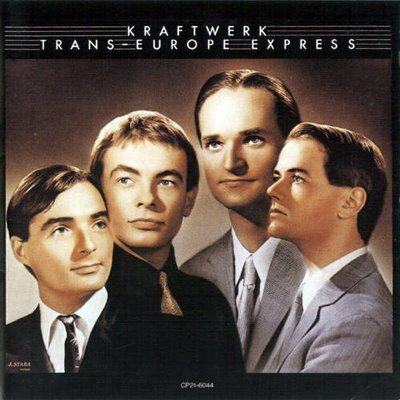 Their 1977 ‘Trans Europe Express’ was recorded at the Kling Klang studio in Düsseldorf At this time a technical innovation was happening at the studio. 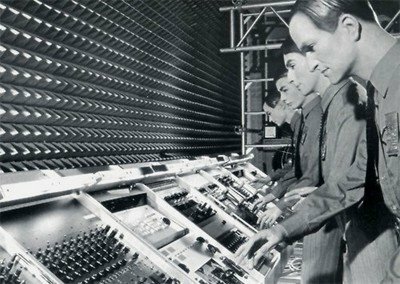 Kraftwerk members Hütter and Schneider had commissioned Matten & Wiechers, a Bonn based synthesiser studio, to design and build a sixteen track music sequencer, the Synthanorma-Sequenzer. 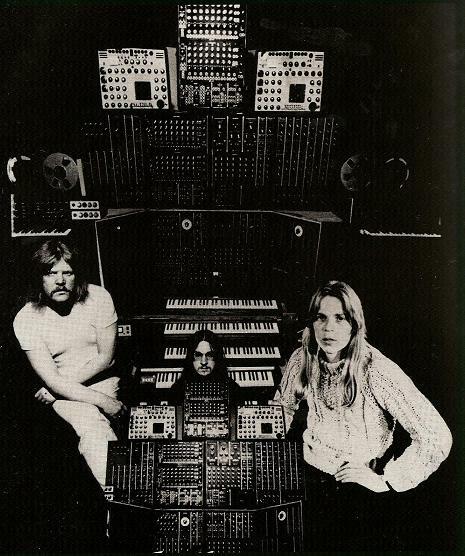 The music sequencer controlled the band’s Minimoog creating the album's rhythmic sound. 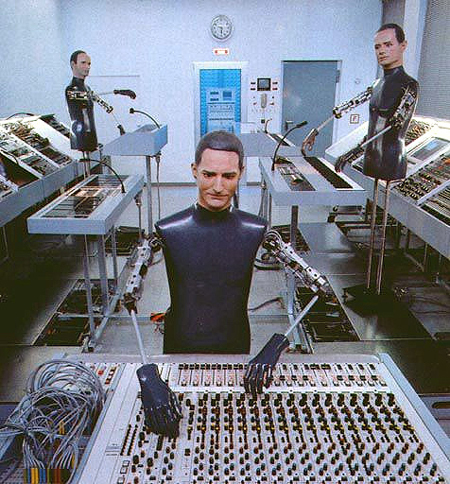 Much use was made of custom-built sequencing equipment (named the Kraftwerk sequenzer), which helped Kraftwerk achieve the precise, minimalist pop sound distinctive of the album. But as said they had to wait until 1978 to finally breakthrough to the main audience with the single ‘The Model’ from the follow up album ‘The Man Machine’ which reached the number one spot in several countries around the globe. Released in Germany as ‘Die Mensch-Maschine’ it builds on to the ideas already present on ‘Trans-Europe Express’. Although the initial recording was made at the Kling Klang studio, it was in Detroit that sound engineer Leonard Jackson of Whitfield Records added to the final sound-mix. And thus maybe adding the necessary pop. But, as you must have noticed, the former two albums were mostly instrumental. It was Italian producer Giorgio Moroder who would add vocals and creating the link between the human voice and the machine. Together with British songwriter Pete Belotte he formed the team behind the success of disco diva Donna Summer. After the hit ‘Love to love you Baby’ the team started to work on a concept album called ‘I Remember Yesterday’ combining the disco sound with musical elements of the past, present and future. Although not one of the teams best albums there was one track that would have a huge impact on musical history. Imagening what future music would sound like they kicked out the usual acoustic orchestras and created an entire synthesized backing track. As Moroder would later state it was Kraftwerk that would inspire him to create the trademark robotic bass. After release on single ‘I feel love’ became a huge hit and created a shock amongst fellow musicians. 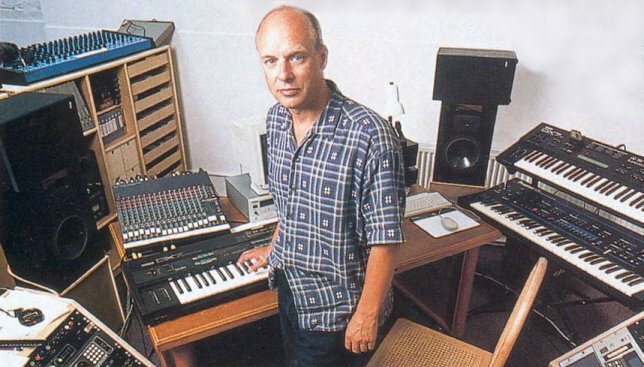 According to David Bowie, then in the middle of his own groundbreaking 'Berlin Trilogy', Brian Eno came into the studio saying: “I have heard the sound of the future. This is it, look no further. This single is going to change the sound of club music for the next fifteen years.” In fact it did. 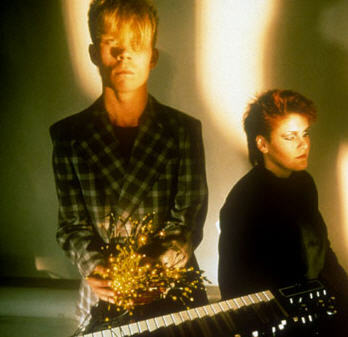 Many critics claim that the track popularized synthesizers in dance, rock, and the soon to be new wave. 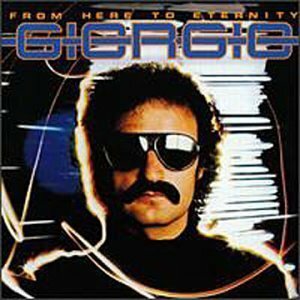 Moroder himself already tried to take things further two months after the release of ‘I feel love’ with the album ‘From here to eternity’ using only electronic keyboards to create it. Though not a very memorable album in itself the nonstop dance mix on side 1 is often referred as influential by the techno DJ’s and producers of nineties. But commercial success isn’t a criteria in our list. Because in the underground and act like American duo Suicide created their own landmark. Active since 1971 vocalist Alan Vega and instrumentalist Martin Rev (synthesizers / drum machines) owe there existence after a mutual interest in the band the Silver Apples (see part 4). They took their name from the title of a Ghost Rider comic book titled Satan Suicide. Musically Rev's played simple keyboard riffs over primitive drum machines, over which Vega started muttering and nervy vocals. 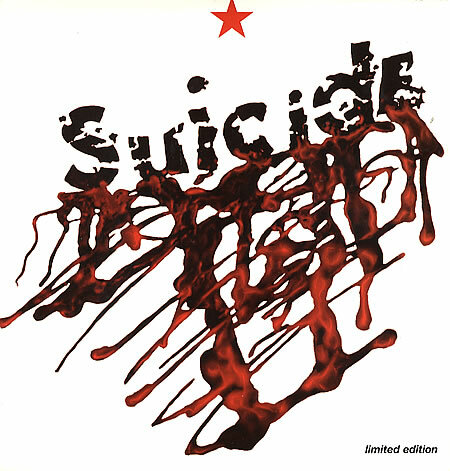 Gaining a name for themselves as an intense and unusual live act in the early punk scene (Suicide frequented NYC legendary CBCG’s) the small Red Star label made it possible to record some of the ‘songs’. The album sounds like old rhythm and blues but recorded through a telephone wire and holds dark tracks like ‘Ghost Rider’ and ‘Rocket USA’. Most depressing of all was the ten-minute "Frankie Teardrop," which tells the story of a poverty-stricken Vietnam vet pushed to the edge and in the end killing everyone in sight. Neuroticly Vega moins and screams a lifelike impersonation of the vet himself. At the time American critic Emerson Dameron wrote that the song is: "one of the most terrifying, riveting, absurd things I’ve ever heard. 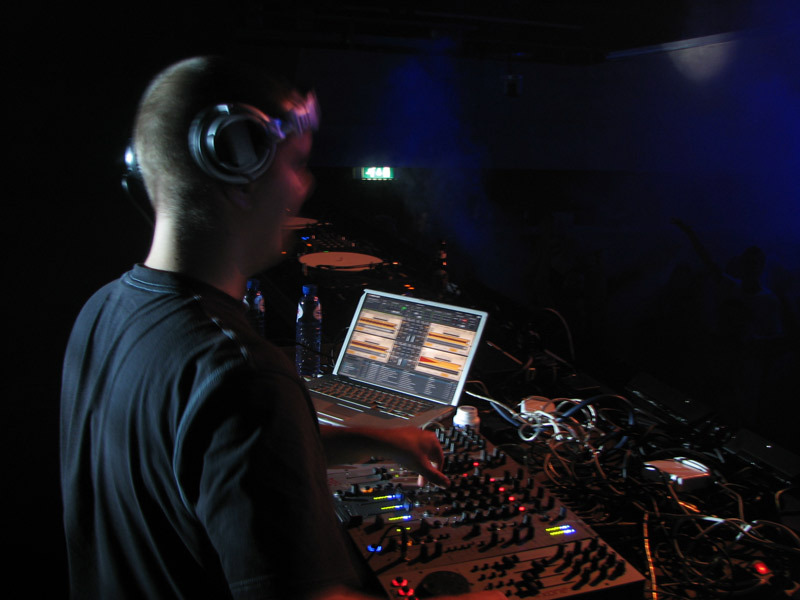 We want to highlight one more side of the development of syntesizers in the European music scene. Because it was all very nice that those 'synthi guys' were meddling with electronics, but what about the more traditional musicians and singers? For this we turn to Greek composer Vangelis who already had a trackrecord for experimental electronic albums on one hand and working with traditional artist on the other. He already worked on a more traditional rock / folk albums with Melina Mercouri and Aphrodites child but both his sides came together for the first time on a collaboration with Italian singer Patty Pravo at the end of 1976. Opening track of the album ‘Tanto’ is a synthesized opus where traditional Italian melodies fluently mix with heavy synthesized orchestral parts and chorus. Vangelis himself plays all the keyboards on this album and some on the next (called ‘Patty Pravo’) which are probably all coming from the same session. 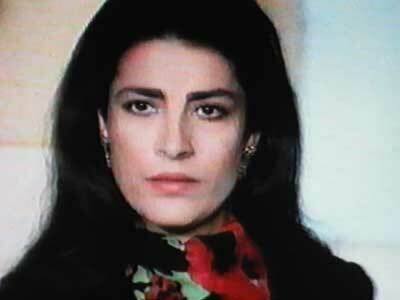 But this was just finger play for the album he made in 1977 with Greek actress Irene Papas. 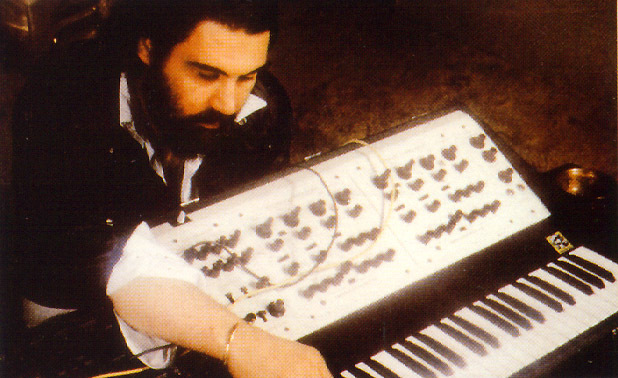 ‘Odes’ took traditional Greek songs and placed them in a complete electronic setting (all played by Vangelis). Like the debut of Suicide it’s an intese album. Opener’Les 40 Braves’ describes 40 young men on their way to conquer the city of Tripoli during the Greek War of Independence. ‘Lamento’ is sung by the mother who has lost her son, a fisherman. The song describes her pain at her loss. ‘Menousis’ describes the events of a character in folk tale (who was probably a real individual), who in his drunkenness kills his wife because of her supposed infidelity. On the album the only ‘real’ instrument is Papas’ voice. The success of the album wasn’t immediate but over the years also this album showed off it’s influence, this time to the more traditional and semi-classical music scene. 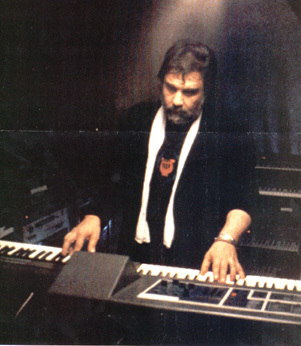 Vangelis himself also has a success in 1977 with his album ‘Spirals’ finally gaining commercial success as a solo artist. Next time: part 6, Are friends electric?